Is a text only resume (.txt) unprofessional? I currently use a word processor to store my resume in a specific format and I can produce a PDF when necessary. Lately, I've been wondering if storing my resume this way is a good idea. I was thinking of storing it in a plain text file, if I were to send it in plain text (.txt), can it be unprofessional and take me out of consideration for a job? Is it expected I use Word or PDF files? As of right now, my resume is stored as a PDF, but it isn't complex, it could just as easily be in .txt. I'm looking for any reason why .txt would be unprofessional. Resumes are sales tools. Look at other sales tools you're familiar with. Imagine you're at a conference, and a salesperson at a booth hands you a business card. You'd expect some level of formatting, in order to help convey a level of professionalism at least, if not some overall brand message for their company. What would you think of the salesperson if they gave you a business card that just had plain unformatted text plopped on it? Now, unless you're applying for jobs doing page layout, no one is going to be highly critical of your resume's formatting and layout. But, there is a level of expectation among recruiters and hiring managers, that you've put thought and effort into how you present yourself during the hiring process. This is important because it's taken as a sign of the thought and effort you'll put into doing your job, should they hire you. Hence, it's worth presenting at least a minimally-formatted resume. If you're worried about continuity, it's easy to choose a word processor with a history of stability and backwards compatibility (ie MS Word). Worst case, you end up having to re-build your resume from a pdf or - gasp - a printed copy. All that said, there may be some merit in keeping a plain text version of your resume, as well. Many job applications require you to enter details of past jobs into an online web job application, and cutting/pasting from a word processor sometimes results in relics that are painful to edit back out (ie a bullet list may collapse and look messy). Having a plain text version can make that easier. Which brings up a good point - it's best to not think of your resume as a single (static) document, but rather as a collection of information that you need to present with slight tweaks for different audiences. For instance, I have a "baseline" resume with all of my employers/positions/projects with detailed notes on each. It's probably about 5 or 6 pages long. When applying for a job, I run through it and remove content that's not relevant (a process that might take 10 minutes), allowing me to create a document that's focused on the specific opportunity I'm going after. The end result is a typically-long resume that's focused on a specific position. I love when people say it's "unprofessional" and suggest using things like markup. I would assume the person making these suggestions has never been a hiring manager. I will assume you aren't a designer, but for most other my answer will apply. 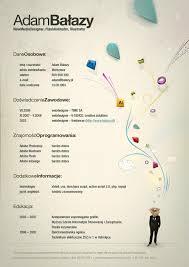 You will spend a good bit of time customizing the resume to the role. The details go (likely initially in an email) to the HR rep, who is prompted to look at it in the ATS (but will often not, which is why the status will zombie to you in the ATS). This will usually be stripped of fancy formatting by the ATS. If you pass the ATS and the look by HR, the details will be passed to the hiring manager, often by cutting and pasting into an email with a bunch of other applicants. Alternately the resume is first passed to a recruiter who reformats the resume into a standard format they use. Now you see the issue, your info gets parsed and munged and copied and pasted. Lots of fancy nice formatting will look great, but will often be impossible to parse, and be lost by the time the person who will hire you will look at it. So what to do? A text version is perfectly acceptable, as it will be parsed correctly, is easily copy-able into the communique to the hiring manager. What I do - I use Word rather than straight text, but I analyse the formatting and always export the file to txt to ensure it still looks right. So use text, keep it clean, don't use = or _ to try an recreate lines etc, just make it simple and clear, and watch as the Tex formatting junkies can't understand why their resume sits in an ATS portal until they get a rejection when the job is filled and closed out. Not only is plaintext a wonderful idea, you might even consider structured data. My resume ended up very sharp looking formatted as valid yaml. Imports very nicely into job application forms as well. That said, I specifically created my resume to visually offend those I would not want to work with and attract those that I would. If you want to be a more attractive candidate, giving them what is commonly expected (docx and pdf) will cause less friction in recruiting pipelines and gain you a wider audience. One option you might consider is using Markdown-formatted text files as your base. Markdown offers enough formatting tools for the job, and you can use convertors such as Pandoc at any moment to convert the file into PDF, MS Word, ODS, or another of many supported formats as desired, before sending it out. Having a text version of the CV/resume is a good idea. I don't use it to send to somebody but I do use it as part of the application process. I have on some sites run into the situation where I have to copy the parts of the resume into their interface. Having a text version ready to go can help make that process quicker, and makes sure that the information still is readable when it has been cut and pasted into the text box. I have found that doing this conversion on the whole resume makes it easier to make sure that I don't forget to account for some formatting that I might overlook if I am doing the conversion one paragraph at a time. Presentation is the second most important thing to get right in your CV next to the actual content. While there are CV templates that take the whole presentation thing too far, sending your CV as a text file is going much too far in the other direction. Even if you all you want is a clean and clear document, a text file won't provide the options to set things like spacing or columns that actually enhance readability (which is presumably your end-goal with your no-frills CV). There are no options to emphasise the important parts of your CV. Even bold text formatting or subtle colour changes that catch the eye but aren't distracting cannot be done in .txt files. What you will be left with is a long, boring-to-read list of things that you want to sell yourself with. Your CV is supposed to be your sales pitch, your advert. What a .txt file will say to me is that you might be talented but you clearly couldn't give many ****s about this job. The document you see on your screen will be exactly what they see. This may not seem obvious but it can be a problem for documents sent in DOC/DOCX formats. Formatting discrepancies can happen with different versions of Microsoft Office but is especially prevalent with word processors that aren't Microsoft Office. With PDFs, you can trust that the formatting will not be messed with. Line-ending conventions: CR+LF in the Windows world, LF in the Unix & macOS world. Word-wrapping. Some editors/viewers will word-wrap, others won't. Charset/encodings: there are dozens of them, with all the ISO 8859-* and window-* variants, along with UTF-8, UTF16, and more. This is less of an issue in the english-speaking world (usually no accents), but there's always the odd character that isn't pure ASCII. Fonts: mono-spaced vs proportional fonts may break any kind of formatting you may try to add. Beyond that, a pure text resume prevents you from doing any kind of formatting. You don't necessarily want fancy formatting, but I feel that a little bit of formatting helps make things clearer. Even something as simple as bullet points (as above), or bold text helps a lot for readability. Or indentation, which as shown above, can be quite an issue with pure text. However in both cases, to send the file, just use PDF. Don't try to be tricky and send a .txt file to indicate that you are minimalist. Simply save the completely plain text file as PDF and send. Please note that this (excellent) QA is confusing two unrelated issues. the "design" - whether to have minimalism (one typeface only, zero bold, zero headings, zero colored flowers) versus "fancy design"
The long and short of Resumes is that readability is every bit as vital as the words themselves. The goal of a Resume is to provide all relevant information about your skills, knowledge and experience in one easily digestible package. Plain text might be technically efficient, but without use of formatting to emphasise the parts that matter it will struggle to compete against other applicants that put more effort in. 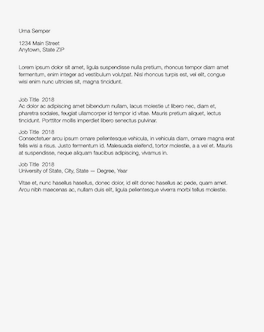 A plain-text Resume might as well be hand-written. So yes. It's unprofessional and the only way it'll work is if you're so impressively qualified that it doesn't matter, or there are no other applicants and the company is desperate. Just to be clear, Formatted does not have to mean fancy graphics or a lunch-menu style of listed information. It certainly doesn't require you to be a graphic designer. Recruiters that need plain text typically extract the text and remove all the formatting before feeding it through their system, but they still send the original file to the actual employers. You don't need to impress recruiters. Done right, your formatting will draw the employer's eye to the parts of your text that they need to read. Use of headers, bold-text for keywords, bullet-pointed lists and dividing lines here and there will make otherwise plain text very readable with little effort. This Answer is itself a brief example of exactly this technique in action, albeit it doesn't lend itself quite so well to this context. There is no decent reason I can see to leave it plain-text if you actually want a job. No, a resume stored in a text format is not unprofessional; actually, it's the most professional way of handling your resume because you can use a version control system such as Git. It's easy to create different branches to be handed for different companies, and then merge some of the branches back to the master branch. The version control also can act as an effective backup of this very important file. Version control systems such as Git can push the data to a number of remotes. Word, on the other hand, has very rudimentary version control system with no branching and merging. Theoretically, you could version control a binary Word file with ordinary version control systems, but in practice you can't. However, you shouldn't hand out the resume stored in a text format (and also, you shouldn't hand out the resume as a Word .doc/.docx file). You should hand it out as a PDF. That's where tools such as LaTeX come in. They can turn a text-only source code into a beautifully formatted PDF. You need to sell yourself, but mind that not all customers like the same way of presenting things. Plain text resume may be good for technical people who often work with plain text and do not like decorations that distract attention. Some of these may even work under Linux, Mac or otherwise may be unable to view your application in MS Word format or anything the like. One problem with using an uncommon format is that it shows unwillingness to adapt your choice of tools to industry standards, however good or bad they are. This can make some bosses uneasy, especially if they are looking for someone to put into a customer-facing role: They have to expect a person like that to act condescending, arrogant or inflexible towards a customer about THEIR choice of tools. Leaving that kind of impression is only good where it is good, and very bad in all other cases. It's always been said you tailor your resume to the job for which you're applying, and that includes the formatting. Some employers ask for Word, some ask for PDF, some ask for some other format. Some insist on electronic, some insist on paper. The only thing 'unprofessional' is if you ignore what the prospective employer asks for in submitting a text file as your resume. Other than that, go for it. No, in many places its the preferred form. I provide my resume in Word upon request, but my default is .txt, as its universal. Unless you're a graphics designer I don't want a colored, flashy, highly visualized resume- I'm just going to be scanning it anyway. In general if you feel you need to impress me with anything other than your skills/experience, it means those are lacking. Text is perfectly acceptable, if not terribly secure. It needs to be clean. There is a reason we use text for an RFC. Unless they ask for a specific format, UUENCODEd Multimate or such, text will set you apart from the candidates submitting a drinks menu. If you want to go all the way, find a typewriter with a Centronics port. Otherwise draft it in text and pay someone else to typeset it. What digital format to send resume/cover letter in? Can I put a job that I have only worked for two weeks on my resume? Submitting resume in microsoft word doc format or a pdf generated by Latex? Should I lock my resume from editing to make it read-only? Can I provide history only up to what I listed on my resume for background check?